(2) the laws of physics should describe the experiences of an infalling observer, not just those of an observer who stays outside the horizon? How is this even considered science? No experimental evidence and little math -- just cartoons. I don't see why the laws of physics should tell us about the inside of a black hole. There is no experiment that can tell us anything about what is inside the Schwarzschild radius. I have argued before (such as here, here, here, and here) that unitarity is a mathematical convenience with no proven physical significance. It is violated by wave function collapse, altho there is no agreement on whether the collapse is real or is an illusion. 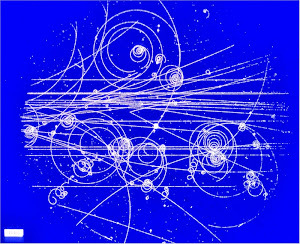 The continuing dispute about quantum measurement theory... is between people who view with di fferent degrees of concern or complacency the following fact: so long as the wave packet reduction is an essential component, and so long as we do not know exactly when and how it takes over from the Schrodinger equation, we do not have an exact and unambiguous formulation of our most fundamental physical theory. As long as there is this disagreement, there is no agreement that any process is unitary. Put a cat in a box, he proposed, and rig up a Rube Goldberg contraption involving a hammer, a vial of poison and a quantum triggering device. If an electron is in one position, the hammer will remain safely cocked. But if the electron moves into the opposite location, the hammer will drop, smashing the vial and killing the cat. The laws of quantum mechanics hold that as long as the electron remains undisturbed, it hangs in limbo, occupying both its possible states. The cat, by extension, is both dead and alive. This is always presented as some profound quantum mechanical truth, but the pre-quantum explanation is not any different from the quantum explanation. There is not a shred of empirical evidence that a cat can be half dead and half alive. For all we know, the above ket (wave function) is just a mathematical shorthand for our lack of knowledge about whether the cat is dead or alive. Some people say that the cat is dead in one world, and alive in another. But that explains nothing. In quantum mechanics, a state is often written as a superposition of possibilities, even tho a measurement would constrain the state to one of those possibilities. The Schroedinger cat is just an analogy for thinking about such superpositions. But it is not to be taken too seriously. Everything is waves, until measured. You understand it? Me, neither. Imperfectly predictable and unpredictably perfect. Schizophrenic states waiting for measurement. 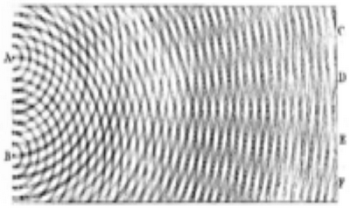 nonrelativistic particles with discrete energies. They're everywhere. Until you look. All knowledge is precisely uncertain. Stop dictating to God, Einstein! I like the "waves until measured". At no point in the book does Meyer ever actually discuss these issues with Marshall, or Davidson, or any of the scientists working deeply in the field. He simply lifts quotes from their papers as they seem convenient to his point. This is the most disappointing aspect of Meyer’s book. It’s hard to read a book like Darwin’s Doubt in parallel, for example, with a book like New Yorker writer Jim Holt’s Why Does the World Exist? Holt spent months chasing down and interviewing a wide range of philosophers and scientists — simply to get their answer to the age-old question: Why is there something rather than nothing? It’s a delightful, thought-provoking read for all the reasons that Meyer’s is not. Holt lets none of his subjects off the hook — politely, but persistently, questioning their opinions and assertions. And expert opinion is valuable about a meaningless philosophical issue? I have criticized Holt and his book here, here, here, and here. I am all in favor of consulting "scientists working deeply in the field", but there is no deep science about why the world exists. There are just religious and other non-scientific beliefs. But the notion that scientists are not open to the possibility of agent action in the world is not accurate. In 1967, Jocelyn Bell Burnell, a graduate student in astrophysics at Cambridge, discovered a radio signal coming from the Crab Nebula. It was a fantastically rapid pulse — too rapid to be natural, it was first believed. That it might be the work of an intelligence was seriously considered — until the lack of variation in the beacon-like pulses, accompanied soon by the discovery of other sources sending similar beams toward earth, persuaded scientists that there was likely a natural explanation. Ultra-dense stars called “pulsars” are now considered the culprits. Is this a joke? His best example is that some grad student or unnamed colleague in 1967 considered the possibility of extraterrestrial life? I have not seen Meyer's book, and I have no idea whether it reflects scholarly opinion about the Cambrian explosion. Any extraterrestial hypothesis would seem far-fetched to me, but maybe not any more far-fetched that what we commonly hear from physicists and what is in Holt's book. No, there are no basic tenets at stake. The firewall is just a stupid idea with no connection to reallity. After all, if Einstein hadn’t been troubled a century ago by logical inconsistencies in the Newtonian universe, we might not have GPS systems, which rely on his theory of general relativity to keep time, in our pockets today. No, GPS would work fine without Einstein. Maybe we would have understanding some of the satellite clock errors, but that's all. No, that is not a basic tenet of modern science or quantum theory, There is not a shred of evidence for it. It is not possible to distinguish books from the smoke and flames. If the firewall argument was right, one of three ideas that lie at the heart and soul of modern physics, had to be wrong. Either information can be lost after all; Einstein’s principle of equivalence is wrong; or quantum field theory, which describes how elementary particles and forces interact, is wrong and needs fixing. Abandoning any one of these would be revolutionary or appalling or both. I pick information loss. No one has ever even found an experiment that could demoetrate that information was not lost. No need to look at black holes. Crackpot physicists are always talking about ideas being "revolutionary". It is just paradigm-speak for not having any evidence. Update: See Not Even Wrong for media hype about physicists clinging to another disproven theory, supersymmetry. Update: That last quote was from Raphael Bousso. Lumo trashes his last paper on the subject.